The 401k retirement plan is a special type of account funded through pre-tax payroll deductions, where the funds can be invested in a number of places (for example stocks, bonds or even assets as chosen by the employee) and the interest earned by such funds is not taxed until they are withdrawn. The employer manages this account and more often than not matches the employee’s contribution with his own contribution. Depending on the plan, employees can make 401k contributions on pre-tax or post tax basis. For pre-tax contributions, the amount which he or she defers to a 401k account will not be taxable in the hands of the employee. For example a worker who earns $20,000 can decide to allocate $1000 to the 401k account in which case the individual gets to recognize only $19,000 as the taxable income. Due to the nature of 401k accounts and the substantial amount of money invested by the employer, there are restrictions on the 401k withdrawal. Any withdrawal from the 401k account attracts an excise tax of 10 percent unless otherwise specified. 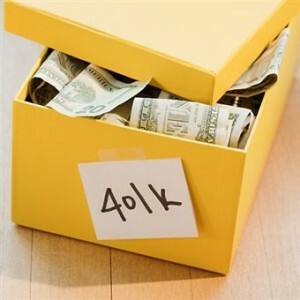 To maintain the tax advantage on the 401k accounts, the law demands that no withdrawals be made before an employee is 59 and ½ yeas old unless on given exceptions. 401k hardship loans also can be taken out on these accounts. These loans do not attract the 10% penalty as long as it is repaid in accordance with section 72 of the IRC. Remember that after 59 and ½ years of age, one is free to withdraw from the 401k accounts at which point the deferred taxes will apply on the interest earned. There is a limit on the contribution one can make into a 401k account. The 401k limits differ from year to year. They are similar to the 529 contribution limits. One cannot pay above the maximum 401k contribution per year. If an employee makes an excess contribution way above the maximum contribution per year, he or she must withdraw this amount along with the interest there in before April 15th of the next year or correct the same accordingly. The maximum amounts for the year 2006 for the 49 and below age group was $15,000 dollars while for the 50 and above age group it was $20,000.For the years 2007 and 2008 it was $15,500 and $20,500 respectively. The years 2009, 2010 and 2011 have had the same 401k maximum contribution limits of $16,500 and $22,000 respectively. For 2012 and beyond, the IRA has raised the contribution limited to $17,000. Cashing out your 401k is probably not a good idea and an idea that should not be pursued because by and large, as cashing out 401k attracts huge penalties from the government which will eat up into your retirement plan, notwithstanding the fact that you will have to pay all those deferred taxes too. It is not something one needs to consider, opt for loans on the 401k accounts instead. It is therefore natural that this plan has benefits of its own or advantages. Some of this benefits or advantages include. Employers match programs, loan and hardship withdrawals, portability, tax advantage and investment customization and flexibility.